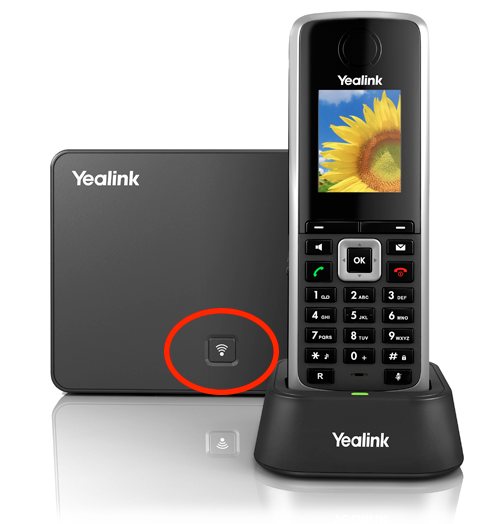 The Yealink W52P is a DECT Cordless Phone System that was designed with the residential and small business user in mind. The Yealink W52P is a scalable solution that supports up to five handsets, has a crisp full color display, PoE support, and excellent battery life. These instructions are based on using the W52P software version "425.30.0.20" in its factory default configuration which is to obtain a dynamic IP address automatically from your router using DHCP, which is how most people have their home routers configured. This guide also assumes that you've already associated your W52P's handset to the phone's base station. 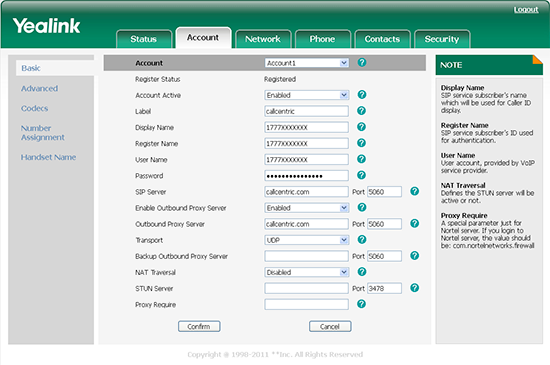 For information on configuring your W52P with a static IP address, as well as information regarding handset registration, please refer to the W52P user manual. 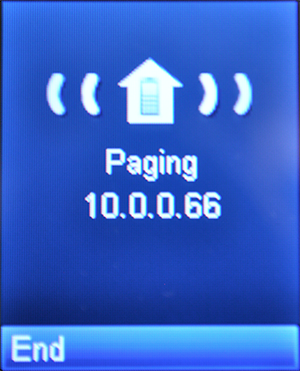 Connect your router with the supplied Ethernet network cable to the ethernet port found on the Yealink's base station. Then plug the supplied power cable into the base station. 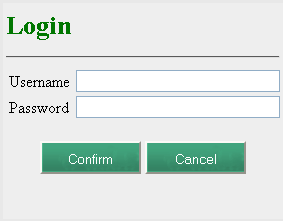 Enter the system username/ password on the given field. The default system credentials should be admin for both the username and the password. 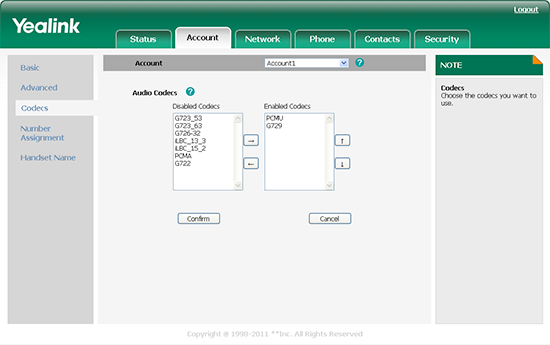 We're now ready to configure your Callcentric account information. To configure your Callcentric account settings, from the main splash above, please click on the Account tab and select the first available line from the Accounts drop-down menu. Register Name: This is either the default extension 1777MYCCID OR 1777MYCCIDEXT, where 1777MYCCID is the 1777 number assigned to you by Callcentric and EXT is the three digit extension you are trying to register this UA to. Once done, click the Confirm button to save your changes. 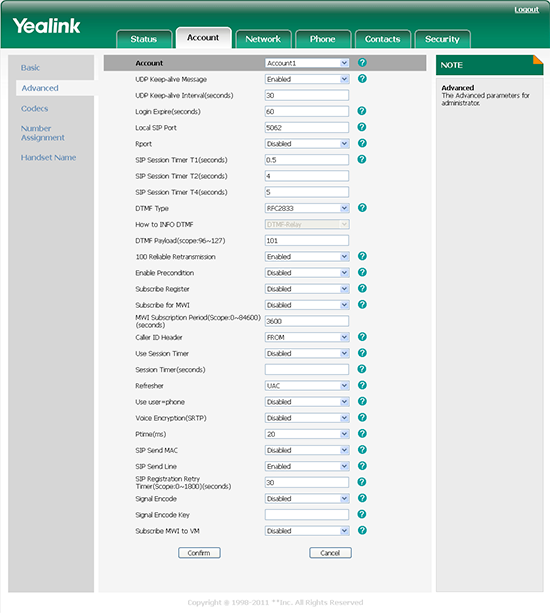 To test inbound calls from Callcentric to your Yealink installation, follow the directions listed in this FAQ.